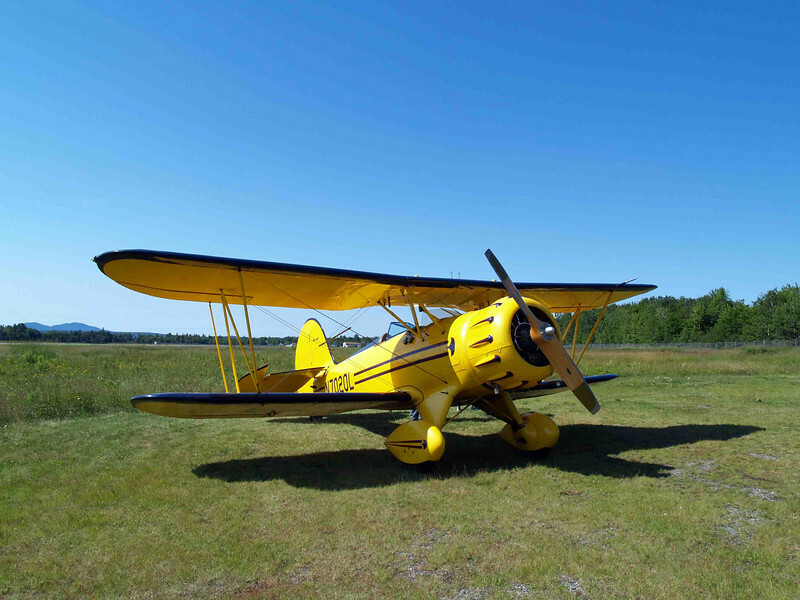 And here is the third thing on my list of Things To Do (it's always in threes): To stop at the Trenton Airport and shoot this yellow Waco YMF-5 used for scenic flights around Bar Harbor. I'd happened across the pilot, Phil, on one of our trails earlier this season and we'd chatted up airplanes for a while, and as he was leaving, he suggested I come out and take a look at the operation someday. Well, hell, yeah! You don't have to ask me twice. It took me long enough to get out here, but it was well worth it, as I now have another classic plane for my photo collection.